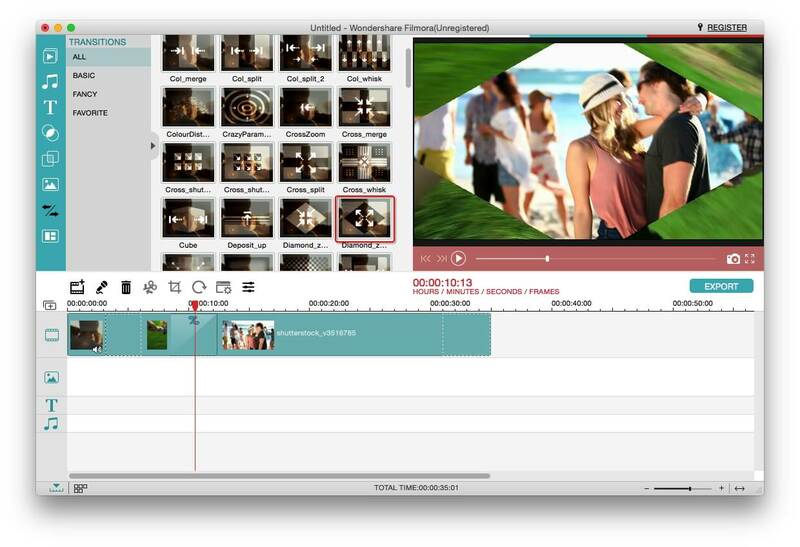 Wondershare Video Editor for Mac is easy-to-use yet power-packed Mac video editing software that lets you effortlessly edit videos to look amazing! It’s easy, utilizing classic editing functions like trim, crop, rotate, and professional extras like stylish title screens, colorful filter effects, transition/motion effects. Also, now take your video even further with special features like intro/credit screens, tilt shift effects, mosaic blur effects, face off and more. When your masterpiece is complete, export it to one of an array of common standard and HD video formats, as well as optimized formats to fit mobile devices. Need to share now? Make them web-ready to upload to YouTube and other sites. What’s more, you can even burn DVD! Get this one-of-a-kind Video tool today! How to Wondershare Video Editor for Mac ? Go to File > Add Files or just drag and drop photos, videos and audios to the corresponding track. A media browser is provided for you to get files from your iTunes library, iMovie, etc. conveniently. You can even record videos using a video capture device or with the built-in iSight. Added videos can be previewed in full screen. And you are free to take snapshots of your favorite scenes. 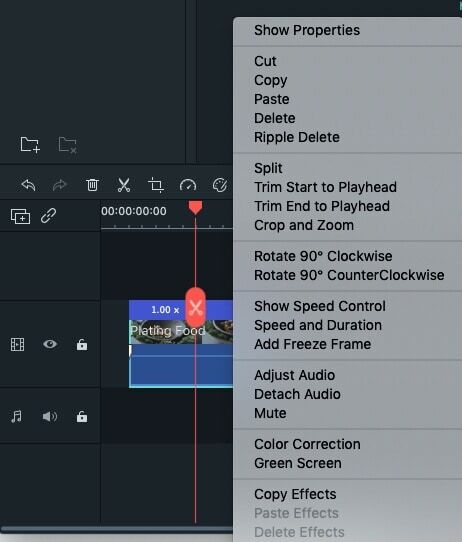 Highlight the video you want to edit and click the Trim, Crop, Rotate and Voiceover button to start editing the video or click the gear under the video and choose the function you want. All video editing functions are done in the viewing window with full-time preview like below. Just choose the corresponding editing function. Trim: Select the "Trimming" option or click " " to open the trim window. Click " " to add a mark and then drag the slider to choose the video part you want to get. If you want to get several video parts, just click the "trim" button to add another mark and drag the slider to select the part you like. You can also click the icon which seems like a small clock to open the duration setting window and set the beginning and ending time manually. 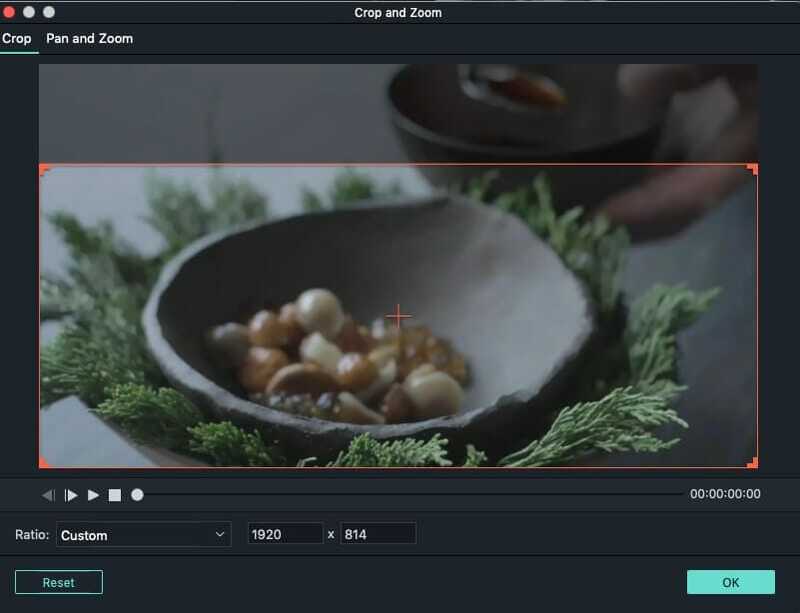 Crop: Click Cropping or the " " button in the toolbar and customize the size window to crop the videos. Choose "16:9" option or manually setting the cropping ratio. Rotate: Click Rotation or the " " button in the toolbar to rotate the videos for the best effect. Right and left 90 degrees rotation, horizontal flip and vertical flip are all offered. Add voiceover: Hit the button " " on the toolbar to add a voiceover to your video. Click " " to start recording and finish recording. When you finish it, hit the "Done" button to save the recording. Many free filters and text effects are provided for you to bring your videos to the next level instantly. Highlight the video you want to apply special effects and hit " " or click the gear under the video and choose the function you want. And then you will see the following window that has four tabs: "Title", "Filter", "Video" and "Audio". Title: 25 stylish text effects are offered. Double click the one you like and type in the words you want to add. You can also freely adjust the text position, font, size, color, typeface, etc. and set the text beginning and ending time. Filter: Choose from 34 professional filter effects and double click the one you like to apply to your video. Like titles, you can also set the filter starting and ending time. Video: Tweak the video brightness, contrast, saturation, or use deinterlacing to achieve the best video effect. Audio: Adjust the volume of the video clip and set fade in/ fade out effect. The way to crop and rotate photos and videos are just the same as how to crop and rotate videos. Get full-time preview to ensure better photo effect. You can also select a photo and add voiceover as you like. Crop: Click Cropping or the " " button in the toolbar and in the viewing window, drag to crop photos. 16:9 and manually set the cropping ration are available. Rotate: Click Rotation or the " " button in the toolbar to rotate photos for the best effect. Right and left 90 degrees rotation, horizontal flip and vertical flip are offered. Set photo duration: Click the gear on the selected photo and choose "Duration", and then manually set the photo duration as you like. You can switch among the three tabs freely to enhance your photos in multiple ways. For adding text and filter effects, the ways are the same as adding titles to videos and applying filter effects to videos. Motion can be applied only to photos for better photo effect. Title: 25 stylish text effects are offered. Double click the one you like and type in the words you want to add. You can also freely adjust the text position, font, size, color, typeface, etc. Filter: Choose from 34 professional filter effects and double click the one you like to apply to your photo. Motion: Select the one you prefer and double click it to apply. 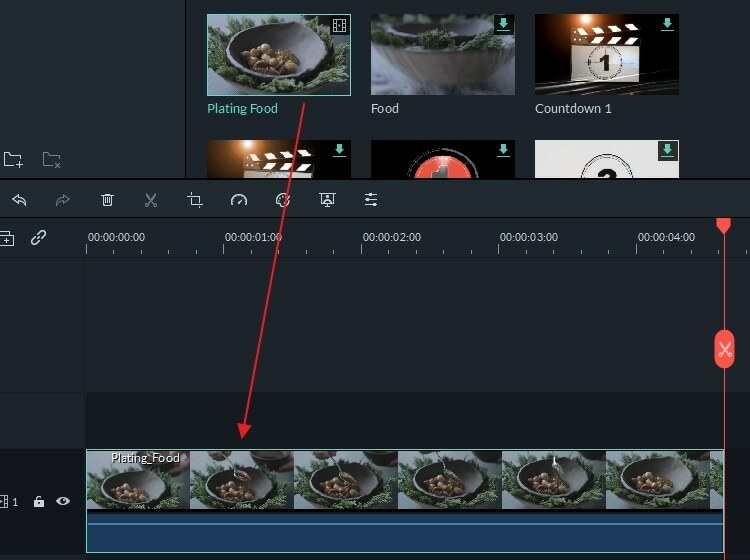 If you want to remove the motion, click the delete icon. Sometimes, you may like to add some background music to your photos and videos or insert some special sound effects. Drag the audio clip to make it match with the videos and photos. For audios, there are two editing functions: trim and audio effect. To edit the audio, you can click the gear on the audio track and choose the audio editing function you like to use or highlight the audio track and click the trim button and edit button on the tool bar. Trim: Drag and drop the slider to choose the audio part you like. To get the precisely preferred audio part, you can preview it before hitting the "Done" button. If you are not satisfied, click "Reset" and do it again. Audio effect: Freely adjust the audio volume and set audio fade in and fade out effect by dragging the round dot. There are over 48 transition effects for you to choose. You can click the button "Transition", and then drag your favorite one to the track over the video or photo clips to apply. 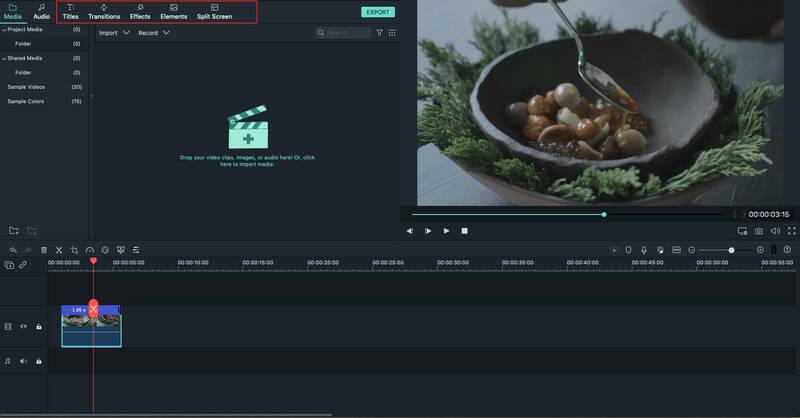 Double click the transition between the clips to have a preview and hit the gear under the video and photo clips to set the transition duration freely. As you can see, you can also apply one favorite transition effect to all the clips or let the software do it randomly for you. Click Share on the main menu and you will see a drop-down list: "Creating Video", "Exporting to Device", "Uploading to You Tube" and "Burning to DVD". Select the way you want to share your videos or randomly choose one since you can freely switch the tab in the Share window. 1. Click Formats to choose your target format, rename the file, and specify the output location on your Mac. 2. Click Devices to copy your video to portable devices, including iPhone 4, iPad, iPod, PSP, Zune, etc. 3. Click YouTube to fill in the necessary information and share your excellent video with others on YouTube instantly. You can also send the video sharing message to your Facebook and Twitter account simultaneously. 4. Click DVD to choose from DVD disc, DVDMedia, ISO and DVD Folder to output your videos, and then select the burning speed, destination folder, DVD title, video mode, video quality, etc. and save your videos.